‘A Ghost of a Chance’ Receives Great Praise! 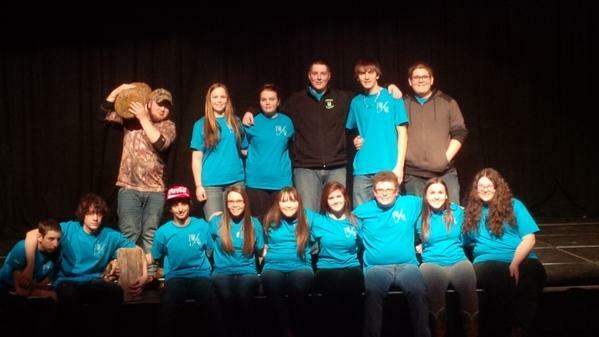 The Random island Academy Senior Drama Troupe performed ‘A Ghost of a Chance’ (a play written by their teacher/Director Mr. Cook) this past Monday night at the EEC as part of the Vista Regional Drama Festival. Our students DELIVERED a FANTASTIC performance! Every member of the cast was recognized with the best ensemble award as they all had a night to remember. It was widely remarked that every character was memorable and the students really made them their own. Jennifer and Joanne Hart received a dynamic duo award for their role as some ‘weird sisters’. The cast also received a makeup award as we brought the dead to life; this is largely due to the efforts of Keisha Kelly, Brianna Green, and Tiffany Hart. All in all it was a great festival as our troupe looked more like professionals than intermediate and high school students. Mr. Cook was very very pleased with the performance and was quite proud of what his troupe had accomplished. He has said that the students gave them everything they had and he couldn’t have asked them for better! They should all be very proud of what they have accomplished on Monday night. 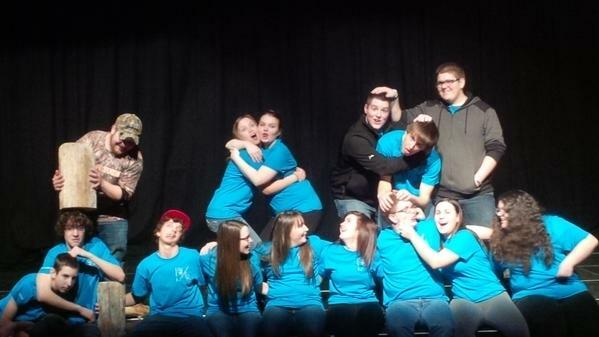 A special note: This was the last festival for 8 members of our troupe, our grade 12 students. Melanie Reid, Joanne Hart, Tim Stone, Brandon Wiseman, Justin Palmer, Marcus Bowering, Johnathen Kelly, and John Bowering have entertained us for many years now and it was great to see them go out with such an unbelievable performance! Thank you all for your dedication and hard work…we hope to see you on our stage again sometime in the future! This entry was posted in School Life Archive and tagged School Life on April 2, 2015 by riawebsite.